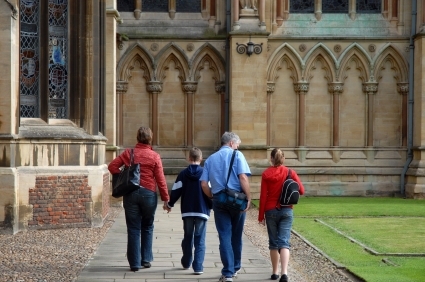 If you have ever had to coordinate a college tour trip, it is important that you plan ahead. I’ve had the pleasure (yes, I actually enjoy it) of doing this on a number of occasions with my eldest child, who is now attending her first choice college, and now we are embarking on the same journey with my youngest daughter. After doing this a few times you certainly learn a lot about the process. 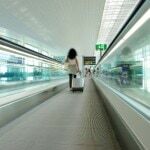 This post will hopefully give some parental tips to you who are planning on heading out to visit your son or daughter’s future 4 year home-away-from-home. When you attend an information session at a college which typically comes before the tour (but it doesn’t have to), you will soon find that there are certain terms or phrases that you may not understand if you are a newbie to the process. Here are some terms that will certainly be helpful to know before your first college tour trip. This is a term associated with financial aid. So if you are one of those parents who wants and, more importantly, NEEDS financial aid (like me!) to fund your child’s college education, you should understand this term. What need-blind really means is that the acceptance of your child to the college is NOT dependent upon your child needing financial aid to attend that college. So, the only factors that will affect whether your child is accepted to the college are your child’s qualifications. And to be honest, this is as it should be. If a college is not need-blind then at the college information session they will tell you straight out that if the admissions process came down to a decision between your child and another child then the college will accept the child whose parents don’t need the financial aid and can foot the bill for tuition. I know that it sounds unfair but it is a stark reality when it comes to applying to a college that is not need-blind. This one is pretty easy. It is simply the percentage of the number of applicants to the number of applicants that are accepted into the college. So, if there are 5000 applicants for a given freshman class and 500 are accepted then the acceptance rate is 10%. Simple enough. This term is not as obvious as the acceptance rate but it has become one of the metrics that colleges really care about. Yield is the percentage of number of applicants accepted into the college who actually enroll into the college. Since this has become such an important metric to college admissions, it behooves the applicant, if they know a certain college is their first choice, to go ahead and tell this to the college admissions officer assigned to their territory. This will pretty much tell the college that if you accept me I will enroll. Don't underestimate the fact that colleges really want their accepted students to attend their college. If they know you will enroll, if accepted, ahead of time it may end up being a factor to accept your child into the college. This is a term that applies to the application process. Let’s say that your son or daughter has their heart set on going to a certain college. 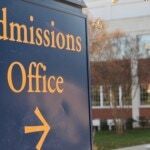 If this is the case, it may make sense for your child to apply early decision which means that the decision-making process will take place earlier than the standard admissions process. The application is filed earlier and the decision is made earlier. What are the advantages to this process? Well, it lets a senior know early on in the process if they are accepted or not into their first choice college. The acceptance rates are also typically higher than the standard acceptance rates. Also, if the child knows that they are attending a particular college they don’t have to waste any more money or time applying to any more colleges. A drawback could be that if your child is accepted and agrees to enroll then this is a binding contract and they must attend that college. There are many more terms related to getting into college that you will be hear at a college information session or during the college tour. Get your hands on a college admissions book such as the one I bought called Admission Matters: What Students and Parents Need to Know About Getting into College . It will certainly help you prepare for the lingo used on the college scene and for anything else associated with the admissions process. Before the trip, visit each college’s website that you will be touring. Typically there is a page on the website associated with nearby lodging and they usually offer a discount if you are visiting the college. Take advantage of this discount. If you are visiting more than one college on your trip you should definitely bring with you a notebook for each college you will be touring. At every information session I have been to there is a myriad of literature related to the college and this will give you a place to store all pertinent information. Also you should definitely take copious notes for each college you visit and keep those notes within each notebook. Believe me, if you are visiting multiple colleges in one trip, you won’t be able to keep it all straight unless you keep the notes separate. The notebooks will also give you a place that you can go and freshen up on the college when your child gets closer to application time. It is a very peculiar thing but what I have found at college information sessions is that parents typically don’t want to ask questions about financial aid. I tend to think it is because these parents don’t want to lead on that they need financial aid to send their child to college. So out of pride they don’t ask about it. God forbid that someone cannot afford to pay $50K+ to send their child to college! One thing to know is that when it comes to financial aid, not all colleges are created equal. It’s simply a fact of life that there are some colleges that tend to give more financial aid than others. 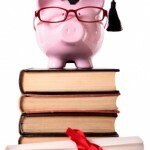 Here is an article entitled 51 Colleges with the Best Student Aid. The college my eldest daughter attends is on this list and I can tell you that out of all of the colleges that accepted my daughter, and there were many, the college that she is attending went above and beyond what the other schools were offering in a financial aid package. And I’m not talking about loans. The money my daughter received from the college came in the form of grants that do not have to be paid back. That's what I'm talking about! So before you take that college tour you should do your homework. Getting the most out of this experience will help to positively kick off your child’s college search. Who knows, maybe your child will be as fortunate as mine to be able to attend her first choice college. And you just might find that this transitional time for both you and your child can be exciting, eye-opening, and educational, all at the same time. 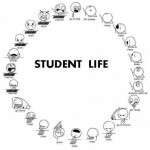 I hope these college parental tips will help you with the process. Enjoy the experience!